Planning has been approved. Detailed drawings exist for the deck structure but a survey needs to be carried out to determine the details for the foundation. 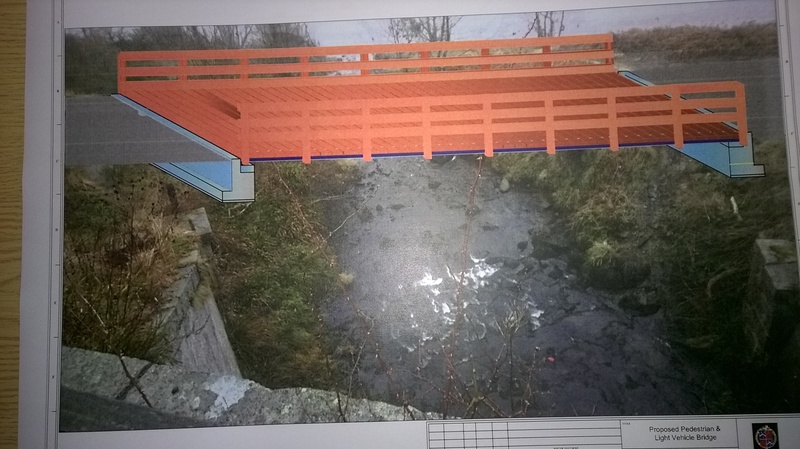 An alternative design is being produced with an increased bridge span, the purpose being to minimise interaction of the foundations and bridge piers with the Burn O'Bennie. 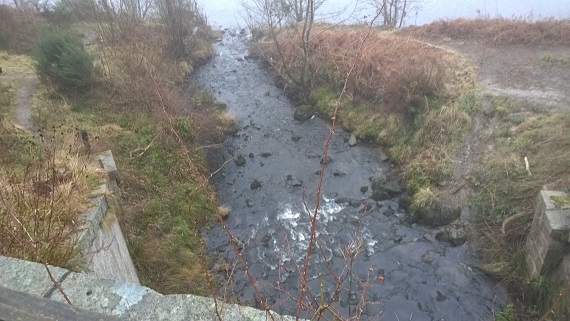 This will help reduce any environmental impact of the works on the river Dee. 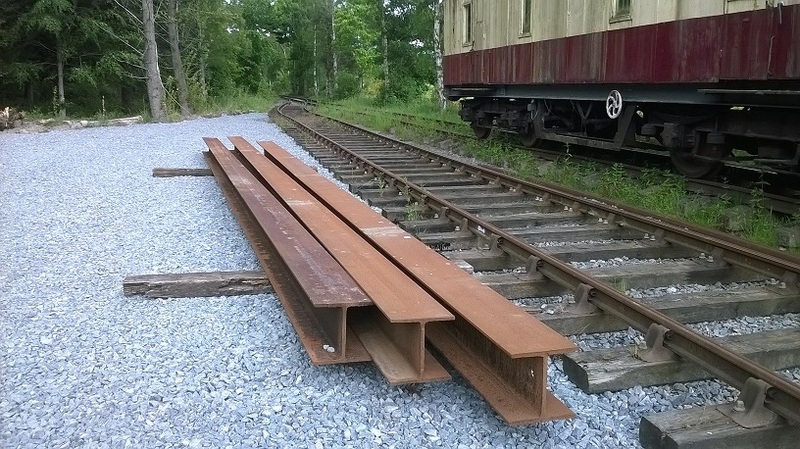 The steel sections for the main beams has been generously donated by Aberdeen Harbour Board and we are now looking to find a fabricator in readiness for when the pier and connection details are completed and the final plans approved. The general area of where the foundations will be situated has been marked out and some vegetation removal completed. Its hoped to level the ground where the foundations will go so that the final location depth of the foundations can be determine. Clear and level foundation area Jon/Neil - see note (*) below. 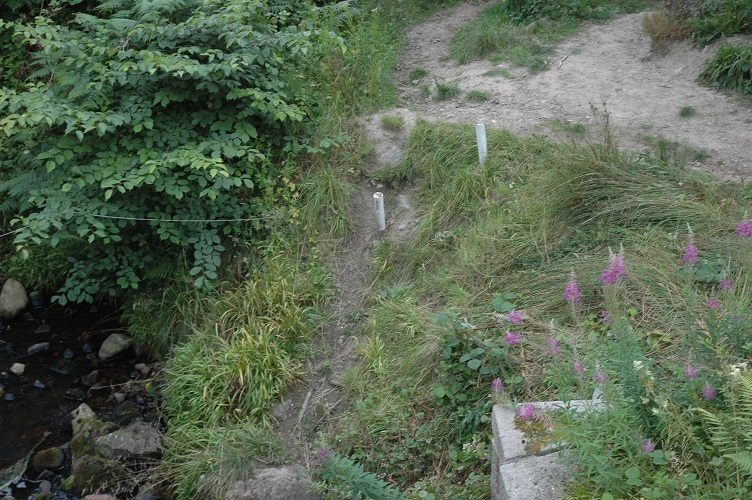 To bring the bridge up to the proposed level, we would need to build the bridge abutments up by about 1.5m. 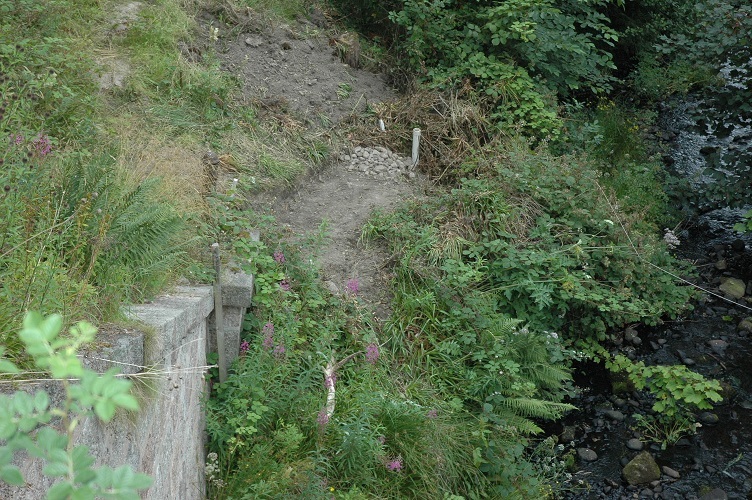 This creates an issue of overturning as the abutment becomes a retaining wall. I suggest, that after the ground has been cleared, we look at it again with the view to lowering the finished level of the bridge as much as possible. This may lead to us having to do some landscaping of the entry paths at a later date to regrade them but it makes the bridge safer and easier to build. 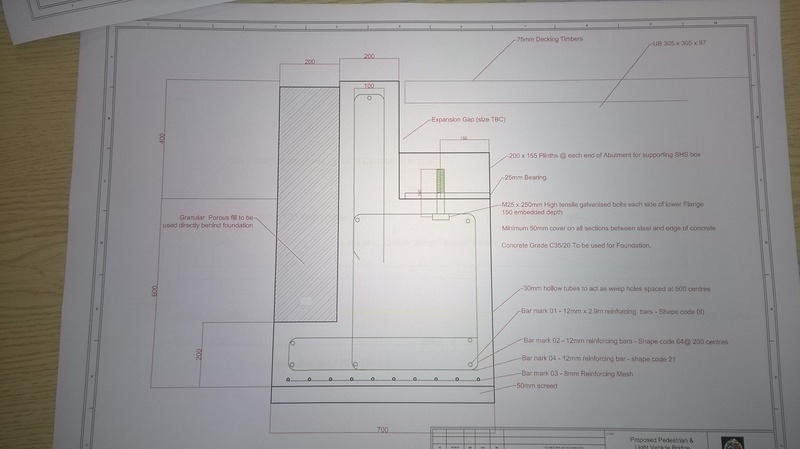 Steelwork – we need steelwork for the foundations. I have started to pull together a bar mark schedule. I will be able to finish it when we know the final height. I will try and source formwork etc. for free. I have a steel fixer who will help us put it together. We need a dumpy level or total station. It’s difficult to set out without one. *NOTE (JT) : Our planning permission M/APP/2000/0003 stipulates that any work on the river bank must be completed during low water level. This is to avoid contamination of the river during the period when the fish are migrating, during spring and early summer. Therefore July/August are the most appropriate months for this work. A detailed design of the foundations for the new bridge has been completed. The plan is to get out to the site over the next couple of weeks and excavate the ground on each side to get a level to start from. Once we have this level, we can lay the screed layer and begin fixing the steelwork. The hope is to have the bridge abutments set in before the weather turns too cold to pour concrete.